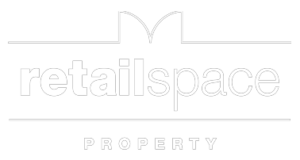 Retailspace Medical delivers medical centre developments, medical office leasing, management and advisory. All sized medical premises from single tenant assets to larger multi tenanted complexes. We manage medical assets, mainly on behalf of medico and syndicate clients who require an “arms length” property specialist. Our reporting software provides our clients and syndicates with financial reporting that is user friendly and detailed enough to meet clients accounting needs. We continue to provide an advisory service to a number of medico syndicates who own various medical assets. For the past 12 years, we have been providing management and leasing services to our medical clients. We have a strong understanding of the medical property fundamentals at Wesley Hospital. For the past 6 years, we have been providing management and leasing services to our medical clients. We have a strong understanding of the medical property fundamentals at Greenslopes Hospital. I have been dealing with Andrew Deane and his Retailspace team for 12 years as our property strategist and the manager of the asset portfolio I share with a syndicate of fellow Medical professionals. When we came to Andrew, we had a large spread of assets in various property classes that required a focussed resource. Andrew has driven the revitalisation of our portfolio to create financially stable investments for our syndicate. We have extreme confidence in Andrew and his team to be able to deliver direction for any property portfolio toward a successful outcome and then to be well-managed in an on-going fashion. Two years ago I was experiencing issues with a tenant in a prominently located retail investment property. This property was leased to an independent retailer who struggled to meet the demands of the location. This property is an important part of my investment portfolio and it is therefore vital that it is leased and managed well. Fortunately I met Andrew. He has been excellent in leasing the property, procuring a long lease with a national major fashion retailer for the premises. Andrew and his team are very professional and diligent in their management skills with accurate and on-time financial reporting and finalising of end of month accounting. It gives me great confidence to know I can leave the day to day management to Andrew and his team and to also know he is monitoring the market, rental trends, the tenant’s viability and therefore will assist in the premises achieving their maximum possible return on investment.